Everybody knows Rome is one of the most fascinating cities in the world, but to admire it in all its majesty, it could be a great idea to observe it from the most panoramic points of the city. Join us in this roman landscapes photo tour to capture the charm of the city from some observational points. All about the ROMAN LANDSCAPES PHOTO TOUR. Its skyline is highly recognizable, some of its major landmarks have been portrayed by artists and directors and are now well known beyond the boundaries of the nation, and, indeed, walking through its streets is a fulfilling experience by itself. But to embrace it all with the view you have to "climb" a bit and reach terraces or natural ledges that offer a spectacular view of the whole city or of some interesting glimpses. From these terraces you will be able to capture the shape of the city and the majesty of its architecture and surely, you will obtain stunning pictures you will be proud to share and show. Full your eyes with this beauty, breathe and admire the city and its renowned buildings. Consider Rome as a whole, or try to identify some hotspots in order to capture it with your camera; our professional will be able to illustrate you the many opportunities your camera offers you and various tips to shot the city from above by any light condition, in order to create interesting and creative effects. Discuss and understand with a professional all the possibilities to create an original and innovative shot. Learn by doing on the field, ask our photographer and challenge yourself to improve your abilities; Rome is by its own nature the perfect subject to obtain breathtaking pictures. Play with it and try new methods and techniques. Shot the light changing and sun hiding or setting, obtain different pictures and perspective responding to distinct sensations, and capture the many sides and facets of the Eternal city. As every photographer knows, catching the perfect shots requires a bit of commitment even in reaching the best hotspots. Follow us in this walk that combines walk and public transport; we promise it all be worth it at the end! 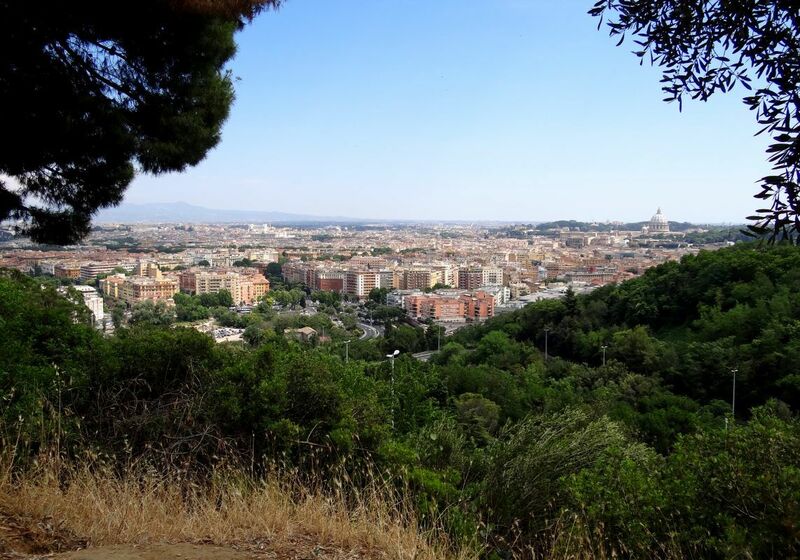 The Janiculum is a popular hill in western Rome in the Rione Trastevere. From here the view of central Rome is remarkable and many of the most important landmarks and monuments are easily recognizable. 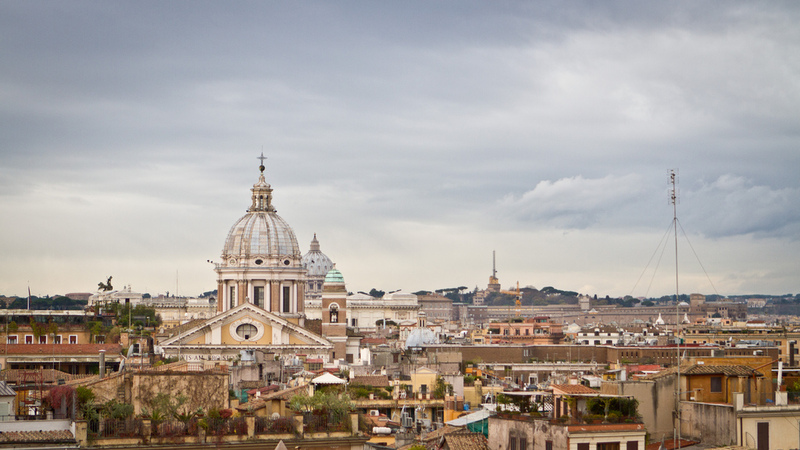 At the last floor of the Musei Capitolini the terrace offers an impressive view over the city. Stop here from your tour to drink something and appreciate the stunning panorama (please note that from 1/06/2016 the terrace is closed for renovation). Being in the middle of the city, the view from the majestic staircase of the church Trinità dei Monti in Piazza di Spagna is undoubtedly stunning. Many Romans and tourists, in fact, meet here to shoot the panorama over the city, impressive by any weather and light conditions. 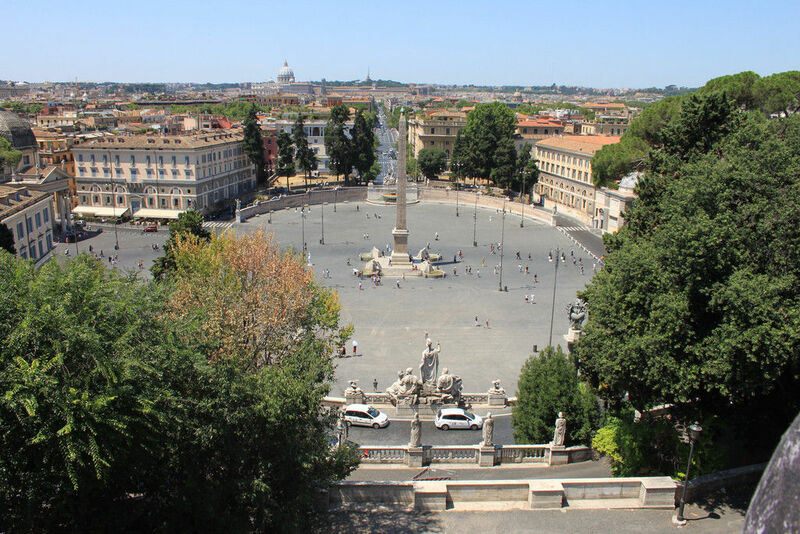 From this hill the view overlooking on Piazza del Popolo toward the Basilica of Saint Peter is truly amazing. Monte Mario is the highest hill in the city and it includes a natural reserve and the observatory. 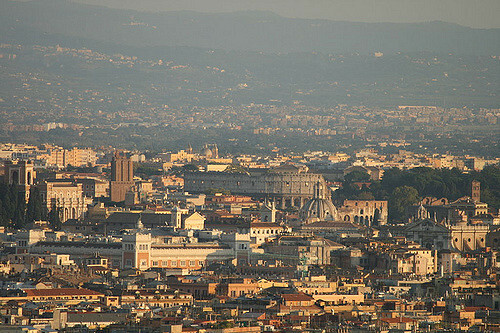 From the hill the view on central Rome is highly charming, particularly during the twilight time. Besides its architecture, the bridge that connects Castel Sant'Angelo with the left bank of the Tiber offers a stunning view over the river and a partial view of the city's landmarks.